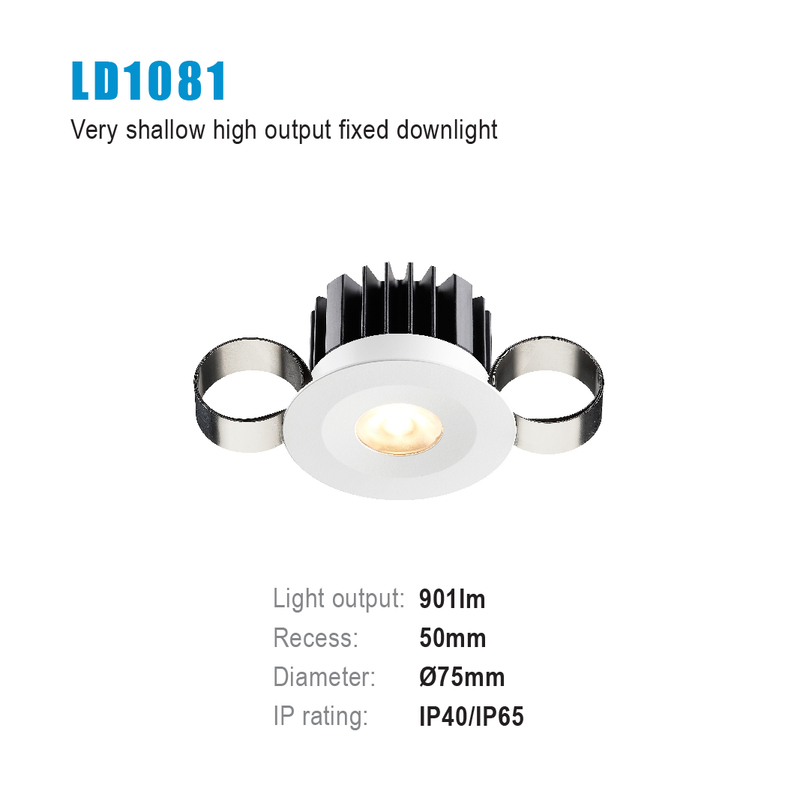 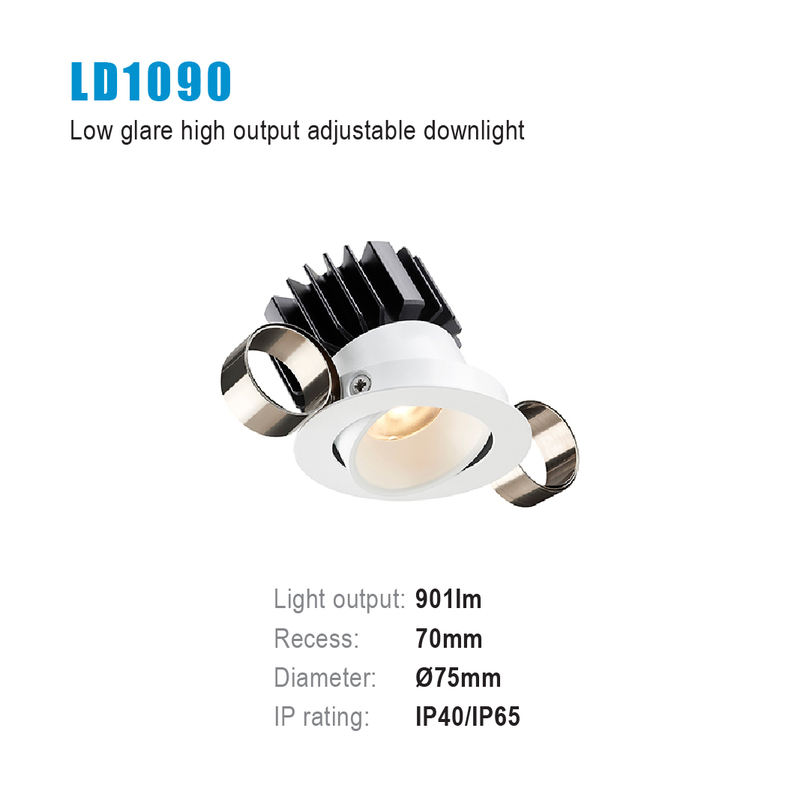 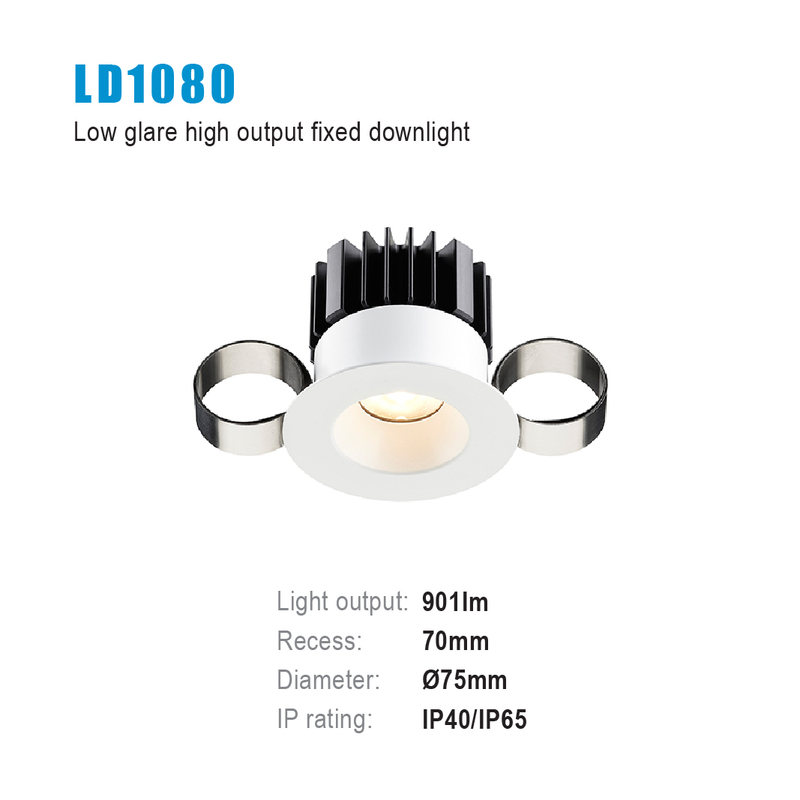 The fixed LD1080 and adjustable LD1090 only require a 70mm recess depth, but still deliver up to 900lm. 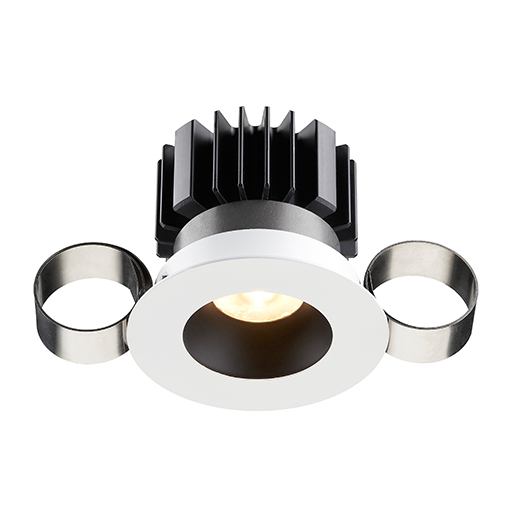 The front bezel can painted to match the ceiling allowing the downlight to seamlessly blend into its surroundings. 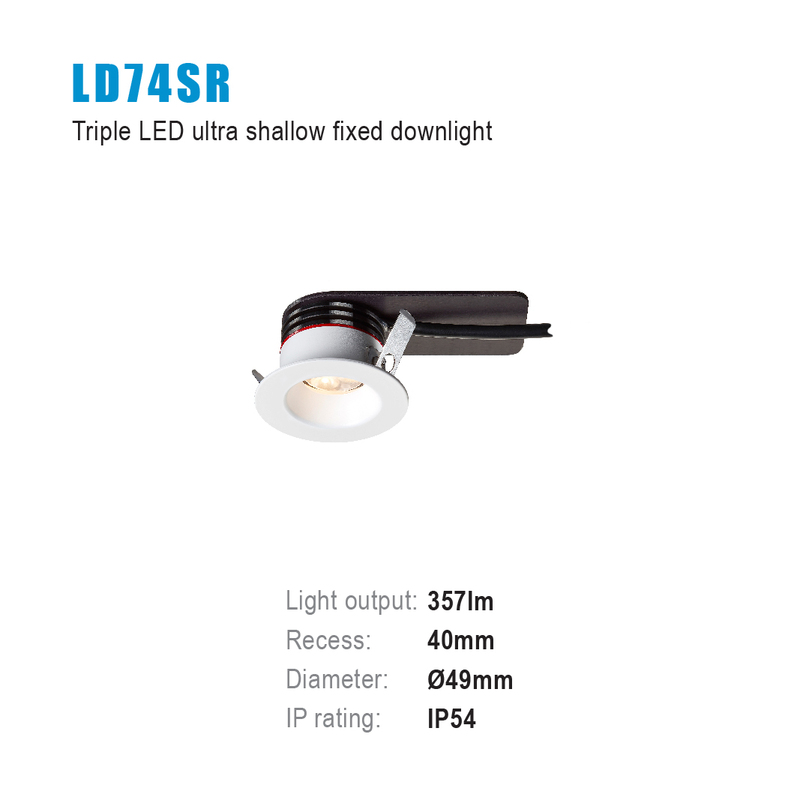 Supplied IP40 as standard it can also be rated IP65 for wet areas. 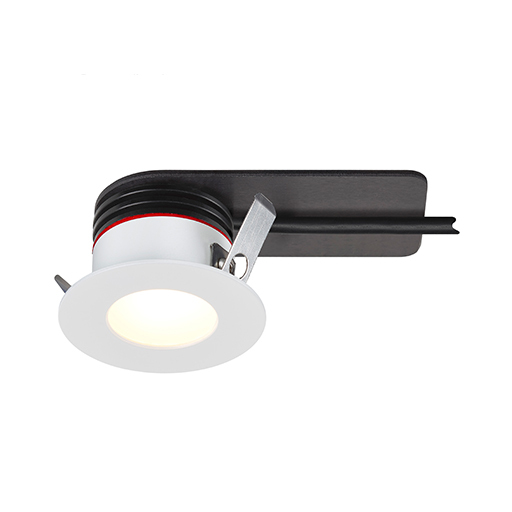 For even less glare the fixed LD1082 and adjustable LD1092 come with a matt black baffle, which can be painted a RAL colour on request. 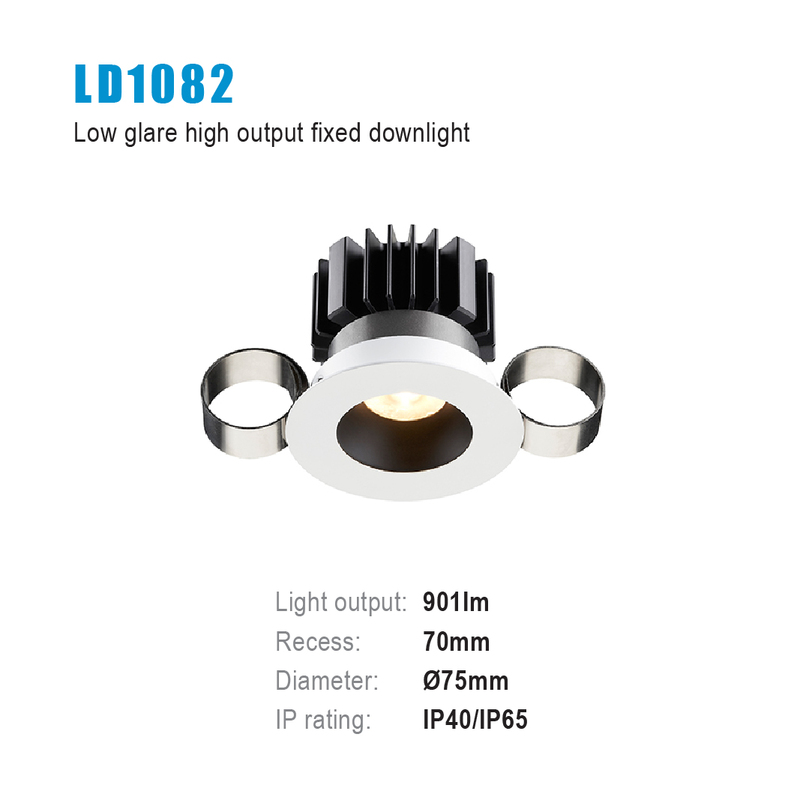 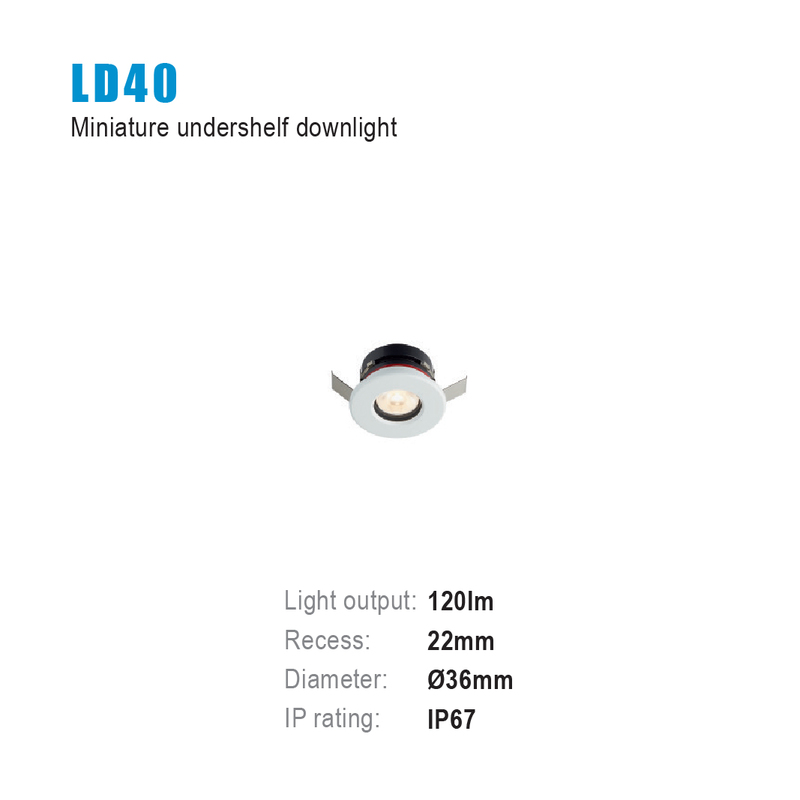 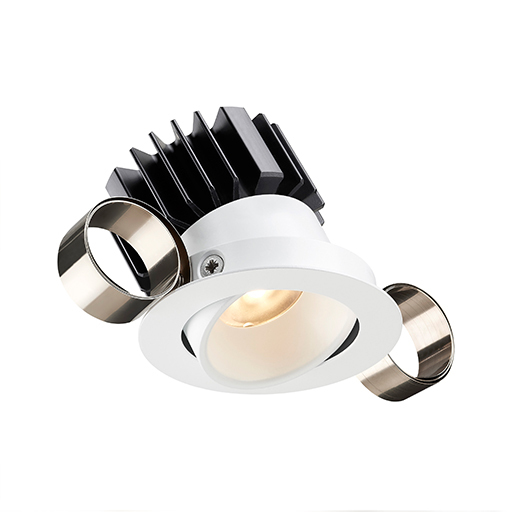 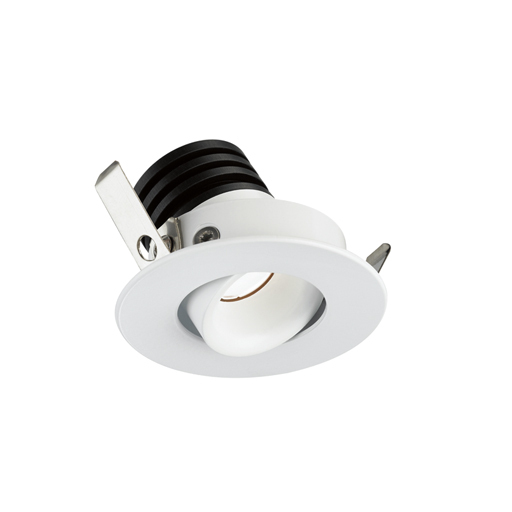 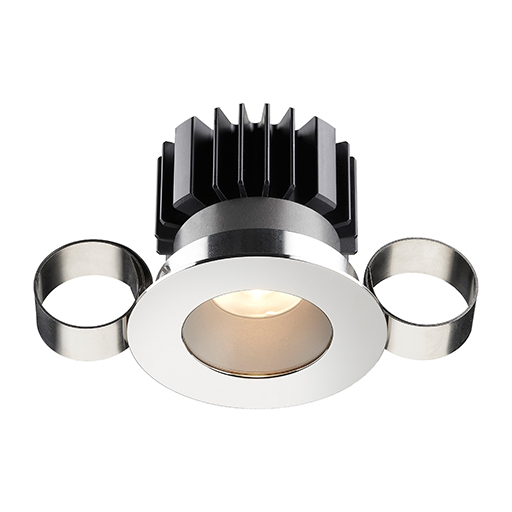 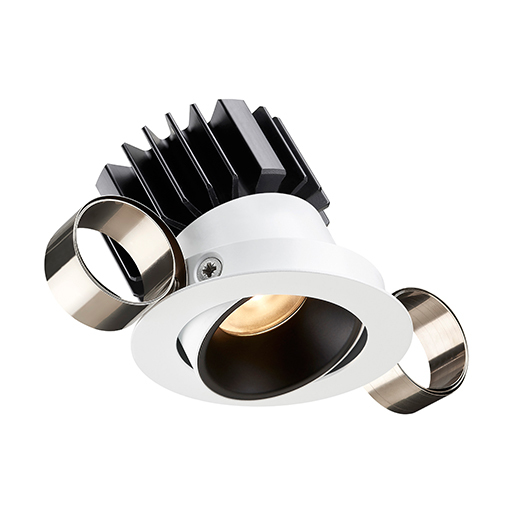 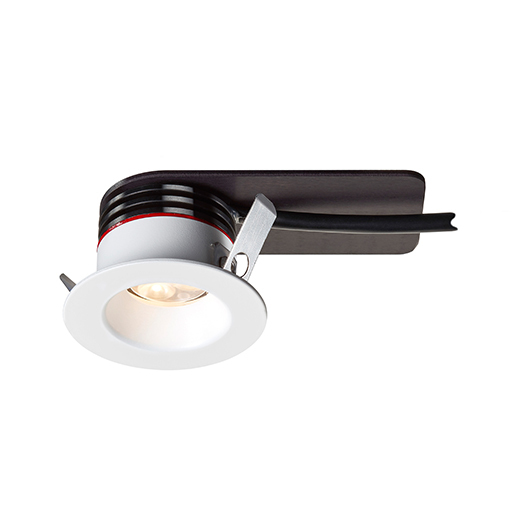 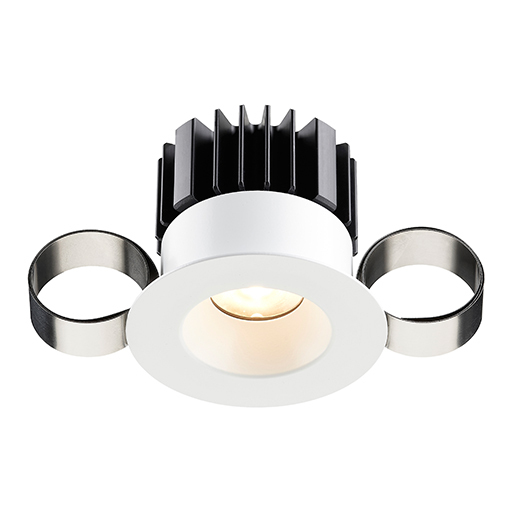 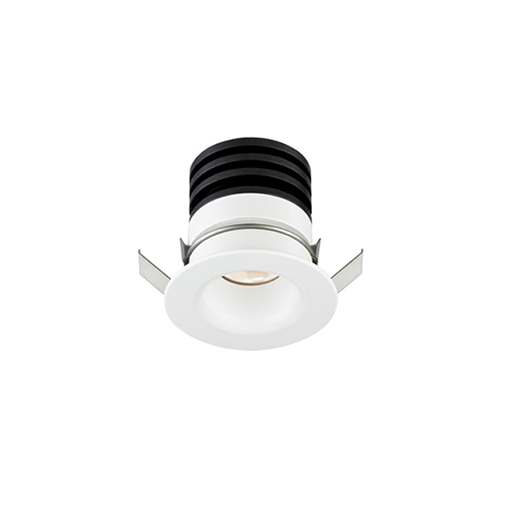 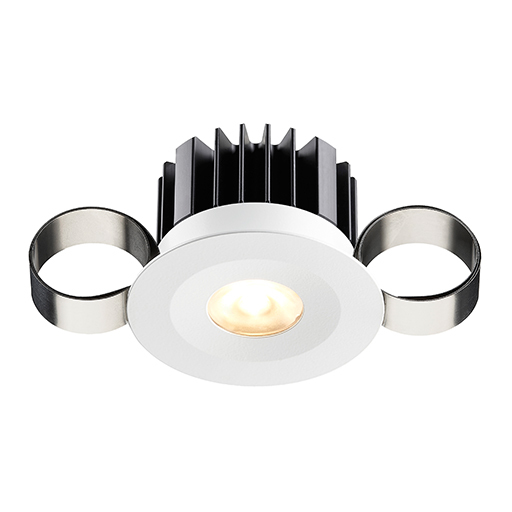 LD1081 offers the same output but is incredibly shallow, requiring a ceiling depth of 50mm! 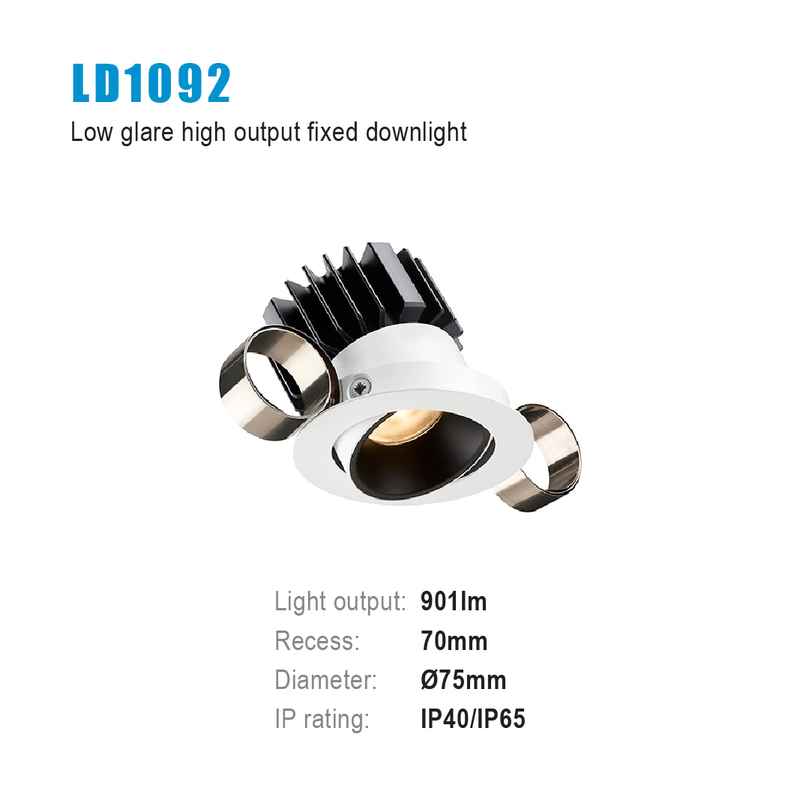 To reduce the glare an optional honeycombe louvre is available. LD1083 is an IP67 rated external downlight with a machined stainless steel 316 bezel for use in harsh conditions including sea environments. 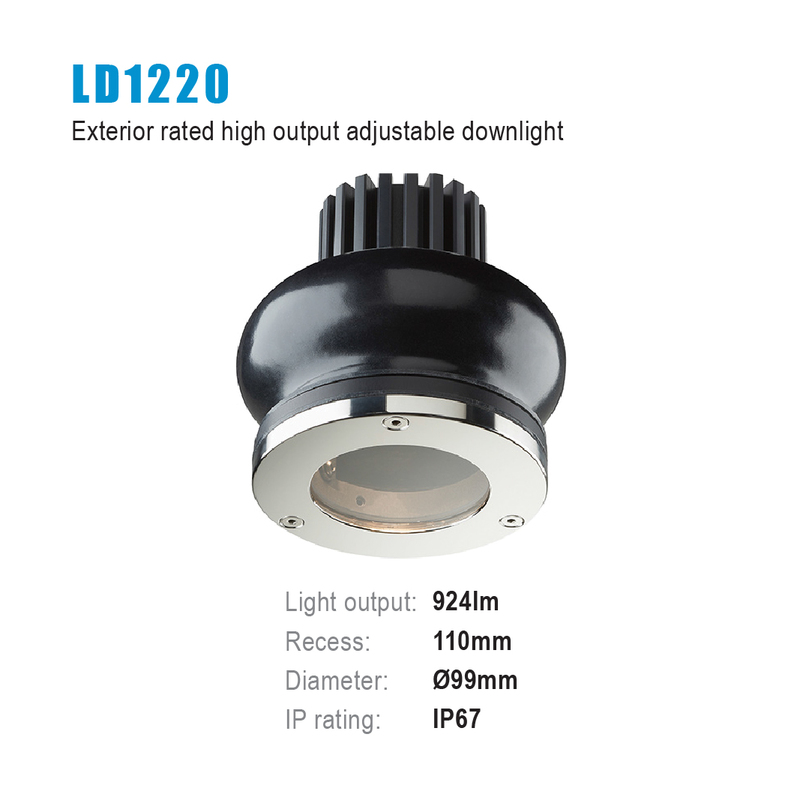 Ideal for yachts as well as exterior architectural projects. 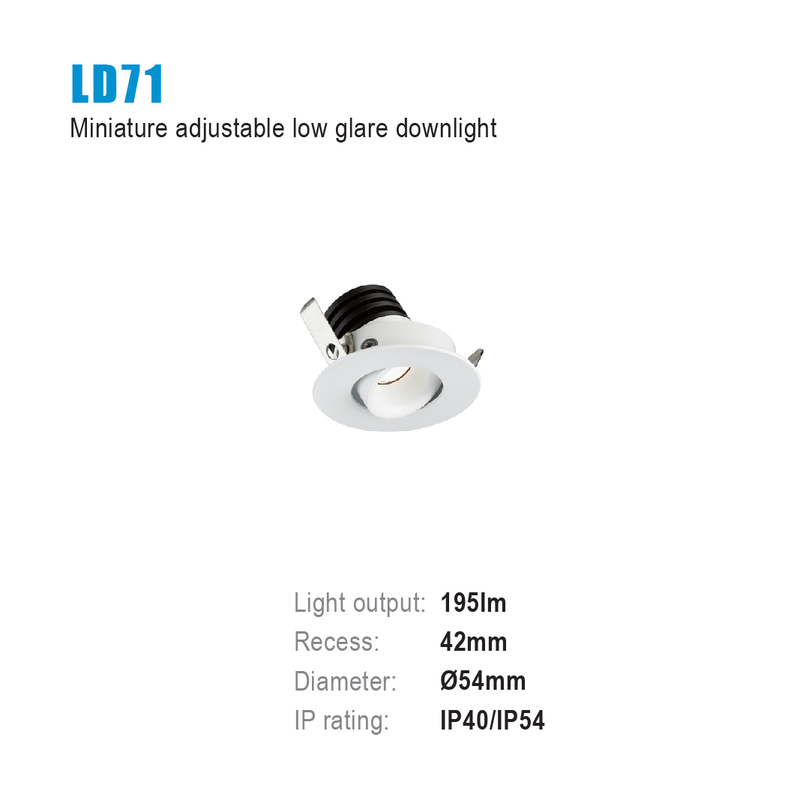 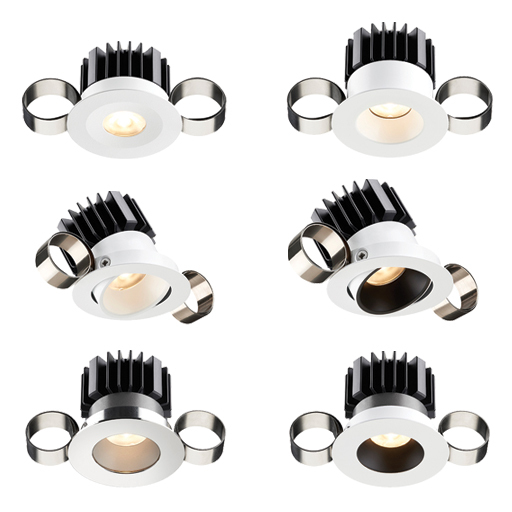 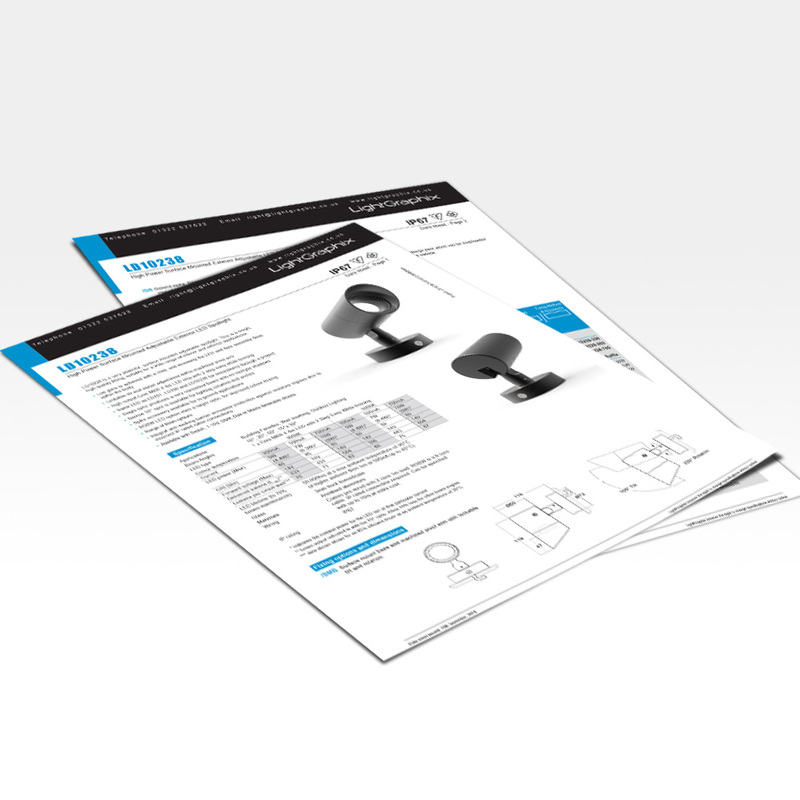 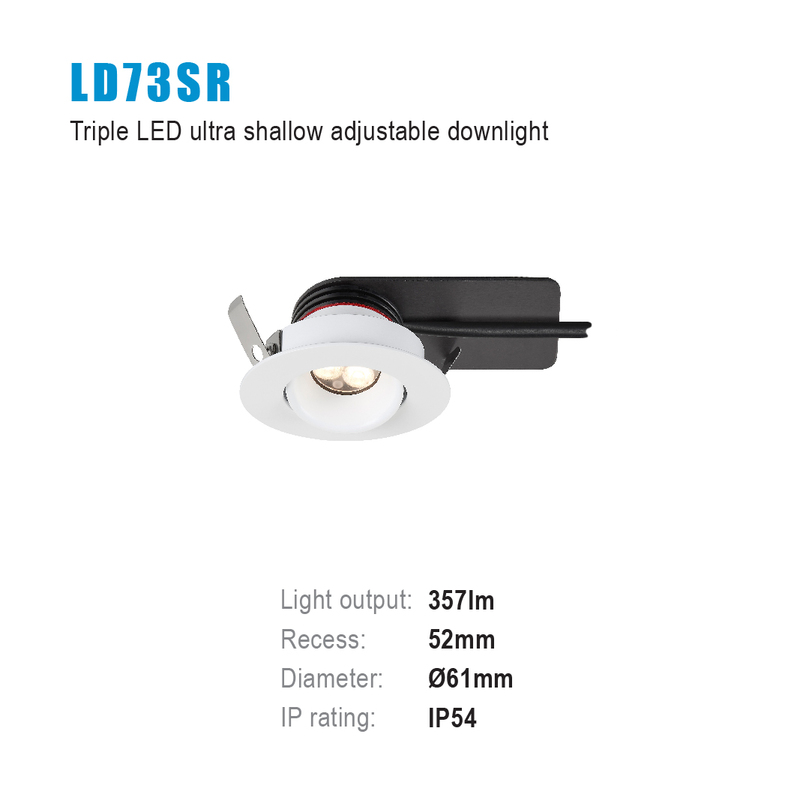 LD74 and the adjustable LD73 use a 3 cluster LED which delivers in excess of 350lm. 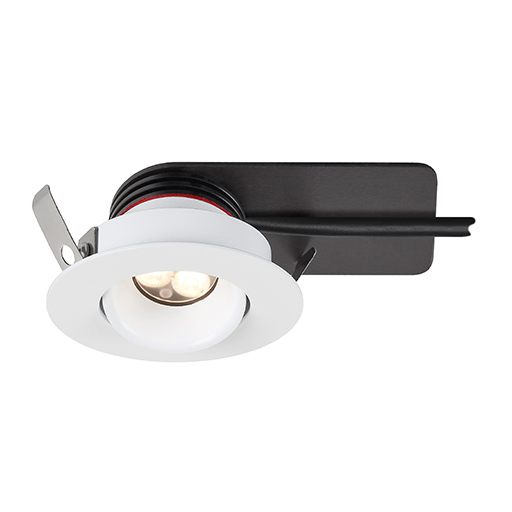 The innovative horizontal heat sink plate allows it to fit into a ceiling depth of only 40mm. 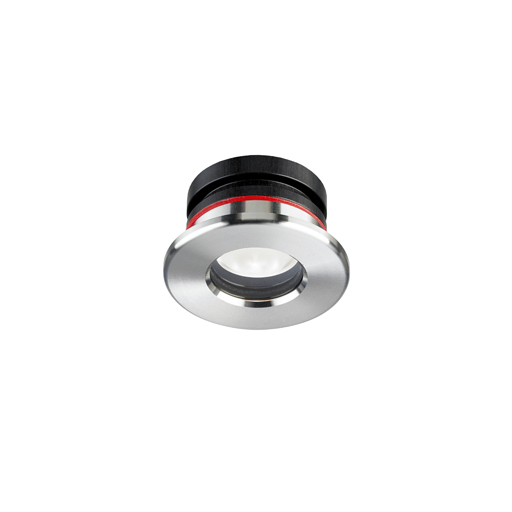 Originally designed for yacht installations, this fitting can be specified with an extra red LED for night time navigation. 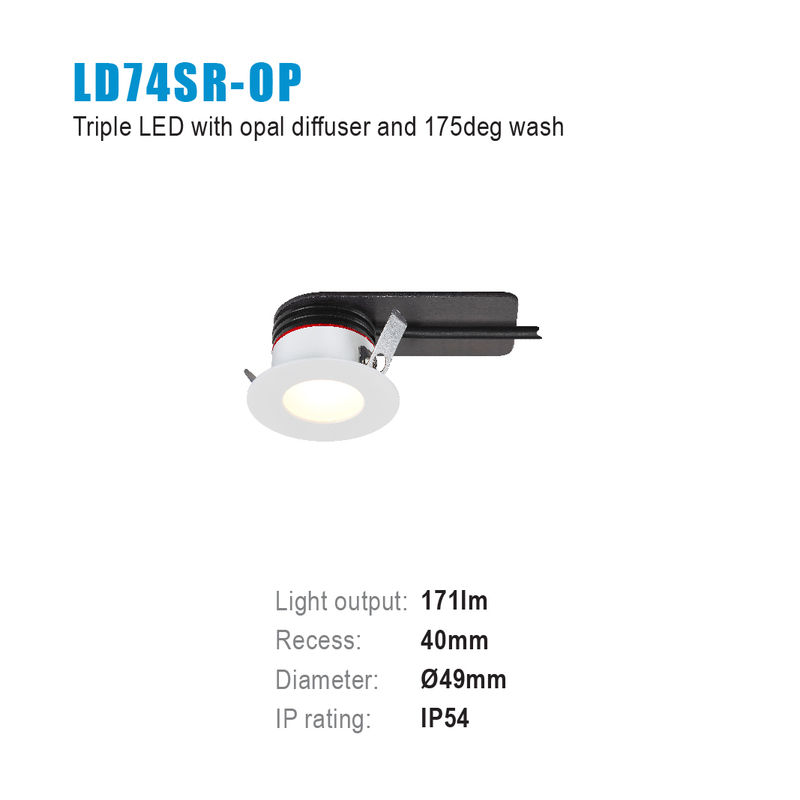 It is rated IP54 as standard making it suitable for use in wet environments. 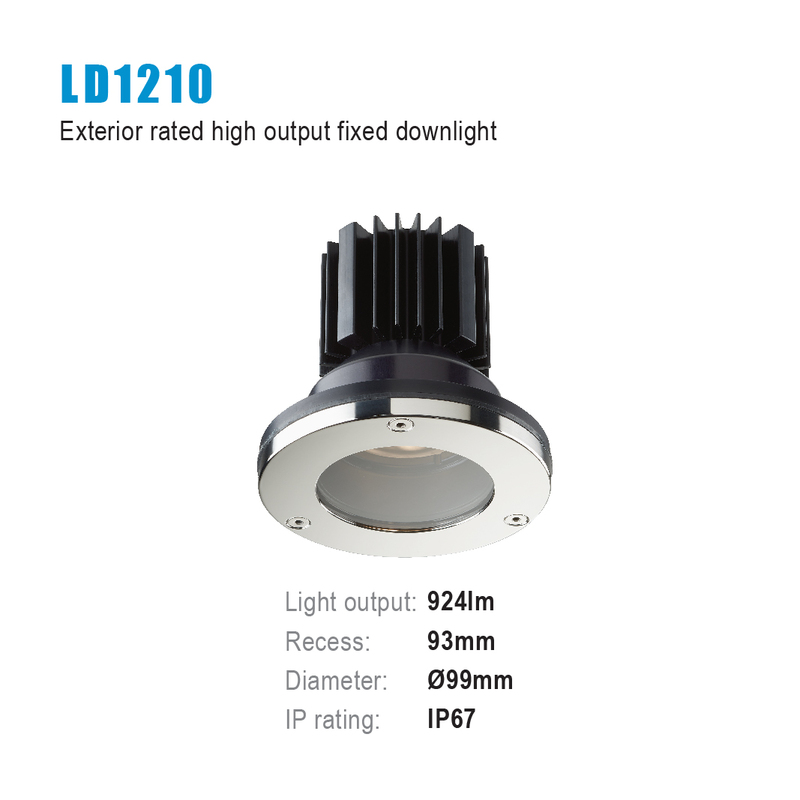 LD71 and LD72 have been updated with the latest Cree XPG2 LED. 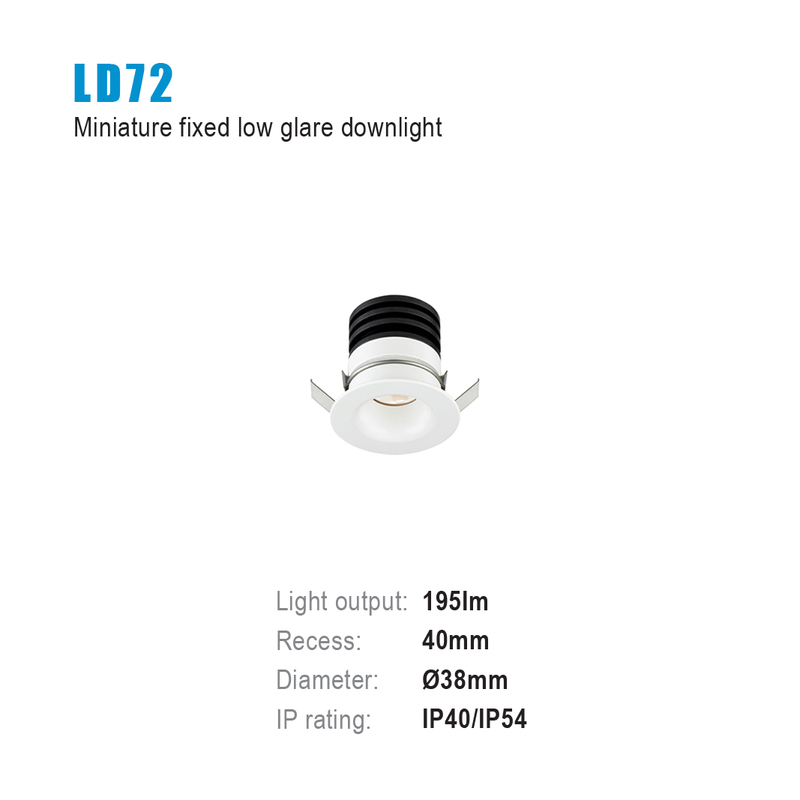 The smallest fittings in the range, they now pack a huge punch from a tiny fitting with outputs up to 200lm!